Actually, “How to Get 1v1 Fights in Lowsec for Dummies” would have been a more accurate name for this piece, but it doesn’t sound as cool. Have you always wanted to try your hand at 1v1 but never knew how to find the fights? Want to break free from F1ing and try your hand at some real PVP? Well, worry not: Lowlife provides. Read on and you’ll be dogfighting before you know it. A common problem for pilots who have spent their EVE careers either as glorified drones in other people’s fleets or shooting red crosses is that they don’t know how to put themselves in a situation where a good 1v1 fight is even possible. It can also feel rather intimidating and unforgiving, and while these things are both true, the personal sense of accomplishment makes it well worth it. While Lowlife has earlier talked about how to fight in 1v1 situations, we haven’t really explored how to find the fight and make sure the conditions are right. First of all, go to lowsec. Although you can certainly find solo fights in both null and even wormholes, nowhere is it more readily available than in lowsec. While elsewhere in lowsec can give rise to some very interesting, and often non-consensual 1v1, Factional Warfare war zones are by far the most reliable source. The FW system provides a lot of incentives for people to form small gangs or go out solo, so it lends itself naturally to finding singular combat. The budding solo PVPer would do well to look for systems in active areas, but avoid the main pipes during the late EU/early US time zones. During these times they are often patrolled by fleets with a scout or bait tackle, and it takes a trained eye to spot when you are being set up. Assuming you are not familiar with the area it can be a good idea to have a look at Dotlan and a 24-hour history to get an idea of where the busiest systems are. Another thing that will help you determine where to go is the contested state of systems within the war zone. This metric is available on Dotlan, as well as in the game. Systems far away from the front lines and with secure or close to 0% contested states are less likely to have engageable targets in them. So your ideal system is a jump or two away from a major pipe and highly contested. The reason for all this is that you are looking for Factional Warfare plexes with people in them (you’ll need to activate them in your overview). They function as natural beacons for fighting, used extensively by militia and non-militia enlisted pilots alike. Many FW pilots will be out running the plexes and looking for a fight at the same time. 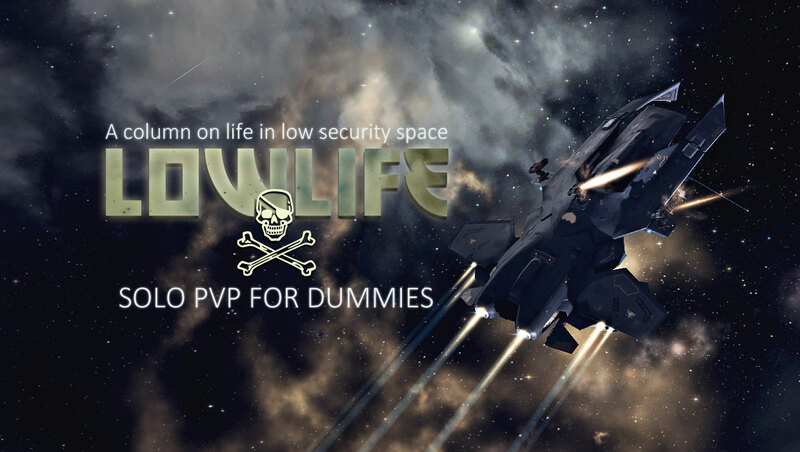 Read the detailed Lowlife guide on plex fighting here. You have two main options: either go from system to system, scan down plexes using D-scan, and find lone targets, or sit in a plex and use short range D-scan to see who is coming in to fight you. Check the guide linked above for the strengths and drawbacks of each of these methods as well as observing the size restrictions FW plexes impose. In both cases keeping an eye on local is essential. Even if you only pick up one target on D-scan be mindful of local, if the inhabitants belong to the same corp, alliance or even militia, there’s a good chance they’ll help each other. Pirate’s Little Helper is an excellent tool for gaining a quick overview of pilots in local – check out our video guide here. As a beginner at solo PVP you should never attempt to fight in a system that has more than a handful of people in local. The second best way to engage in solo combat is at gates, but brings with it sentry gun mechanics. What you are looking for here commonly is either pilots flagged as “suspect” or “criminal”, alternatively (and this is rather common in lowsec) outlaws with a security status of -5 or below. This ensures you do not trigger aggression from the sentry guns. Simply sit on a gate and jump through as something lands and attempt to grab tackle on the other site. It’s also worth keeping in mind that you can sometimes trick neutrals into firing the first shot by yellowboxing them, giving you the advantage of the gate guns. Be wary however, a lone target loitering around a gate for no apparent reason is often bait. It is also possible to fit fully intending to shoot neutrals at gates. The idea in this scenario is to bring high alpha damage, fire a few volleys, hopefully dispatching the target, and then warp off to avoid the gate guns. Alternatively you can fit to tank the gate guns. Both of these techniques are much better suited for fleets however and should be avoided if you’re just starting out at solo PVP in lowsec. A tactic for fighting at gates that takes a bit of skill and some good timing is catching stragglers from fleets that are moving around. It’s not uncommon for one or two people to be lagging behind when fleets roam around lowsec. 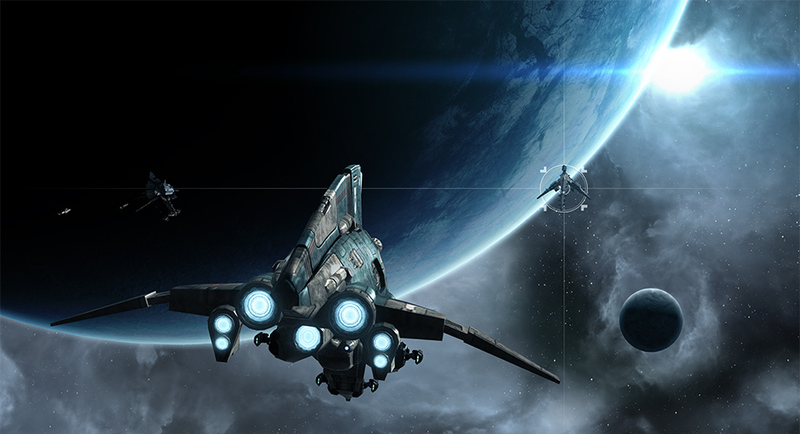 A smart solo PVPer can follow the fleet around and identify when someone gets detached from the main fleet. Perhaps they stop to get repairs or drop loot, or maybe they have to AFK for a minute for a bio while the fleet presses on. With some luck they can be tackled on a gate, but be careful – strike too soon and the fleet might just turn around to kill you. Another way to separate people from their fleet long enough to kill them is to have the fleet chase you from celestial to celestial in a system. Essentially this strategy involves blueballing the fleet until they get reckless and scatter in hopes of catching you. It is however a rather advanced tactic and requires a thorough knowledge of ships and their fittings, as well as very sharp combat skills and situational awareness. One of the most common forms of baiting in lowsec is at stations. It may look like an opportunity for a good solo fight but don’t go for it, no matter how appealing the target looks. These people understand the mechanics and behavioural patterns involved a lot better than you and are experts at tricking you into aggression by looking like easy or valuable targets. Never play station games alone. Ever. An often overlooked source of solo fights are asteroid belts. Although they will not have nearly as many targets as FW plexes, you can get some spectacular kills in them once you find one. Years ago, belts used to be a common place for people to duke it out, but then Factional Warfare came along and plexes naturally took their place. After virtually laying dormant for years, the introduction of Mordu’s NPCs and those looking to kill them (along with clone soldiers) has brought some life back to belts. Finding a ratting ship in a belt can be a rare treat, if the loot fairy is having a good day. It should be mentioned however that belt ratters often ply their trade in out of the way corners of lowsec, so it might take some time finding them. A more nefarious, but equally tedious, way of scoring a 1v1 win is to lie in wait in exploration sites with a cloaked ship sporting plenty of tackle. You can read more about playing dirty in lowsec here. There are other ways of finding solo fights, such as invading mission sites, ambushing people running from a fight at the sun or at an iHub, scanning down people in safespots, and so on. But the above should be more than enough to get you started. 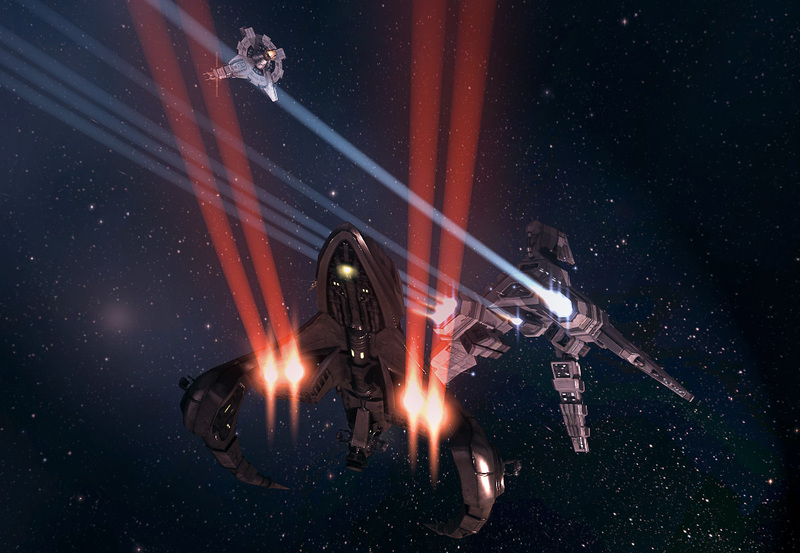 The majority of solo PVP in lowsec is done in frigates, destroyers and assault frigates. Even more experienced pilots tend to keep things small and mobile. Fly a lone cruiser across Black Rise and you’ll know why. When it comes to hardware, the most common mistake those new to solo PVP make is that they don’t do their logistical homework before they set out. Using the guides above, establish a few fits with different roles in mind. Then buy a stack of ships, fit them all up and park them close to where you intend to operate. Frigate fights are short, brutal affairs, and you want to minimise the amount of time you have to spend reshipping. If you have to go to a trade hub (or far away home system) every time you lose a ship, it will quickly become more trouble than it’s worth, especially as a beginner in solo PVP. Plenty of people have ruined their initial enthusiasm for 1v1 this way. The second most common mistake, especially amongst pilots who are established in other areas of the game and have some ISK to throw around, is the tendency to try and “sure up” solo PVP wins by blinging out fits before they know what they’re doing. I have seen enough fail-fit faction frigates with deadspace modules to tell you: don’t do it. You’ll die in embarrassing ways and be pasted into alliance chats for chuckles. 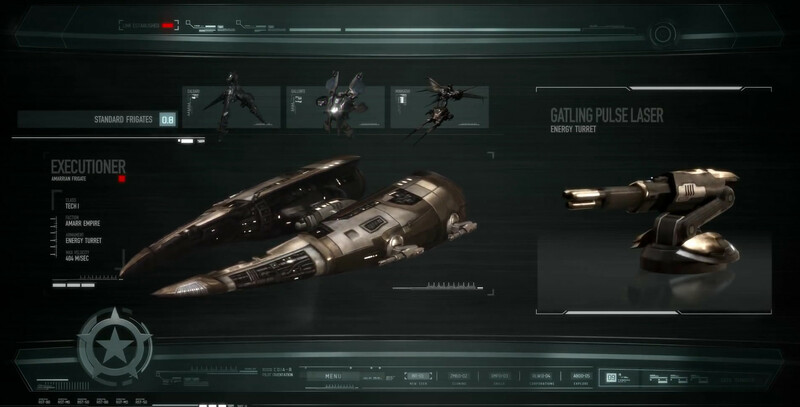 Solo fits are quite different from fleet fits and solo PVP is brutally unforgiving – you will fail at first, especially if you’re used to flying fits that other people have given to you. That being said, don’t go full meta when flying solo either. It’s well worth investing in Tech II weapons and modules. Hopefully this guide has given you some helpful tools to get going in your solo PVP adventures. If I were to offer any final advice it would be to not give up. Solo PVP is hard and incredibly humbling. Your losses will sting and it will at times feel like everyone is better at this than you. Don’t give up, keep undocking and learn from your mistakes. Some people enjoy fleet fights, some the thrill (and ISK) of finding and killing that officer NPC, but there are few experiences in EVE Online as intense and gratifying as facing another pilot in 1v1 combat.